As you are all aware Callum Monaghan (TY) is a championship Irish Dancer and excels in his dancing. Callum is so dedicated to this he trains 4 nights a week after school and at weekends he attends Feiseanna around Ireland. Callum has attended the Riverdance Summer School and the Carlingford Irish Dance Festival for 1 week. Callum danced and finally after 5 years of attending and competing in the world’s his dream was to get a recall. Callum achieved this dream and came 21st in the boys in the world’s coming home to Ireland with his first world medal. This is not a hobby but a lovely of Irish dancing, he has to skip every morning exercise run and dance his feet off to get to this level of dancing. This has been hard for Callum because through the years he has had to put up with all kinds of bullying name calling and isolation of a kind. Callum just keeps dancing because it his dream and passion and his life. 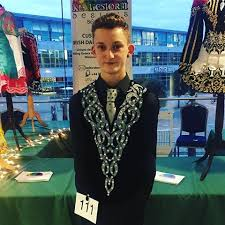 Callum has performed here in school on many occasions with Caitlin Hough with whom he has performed the opening number from Riverdance. 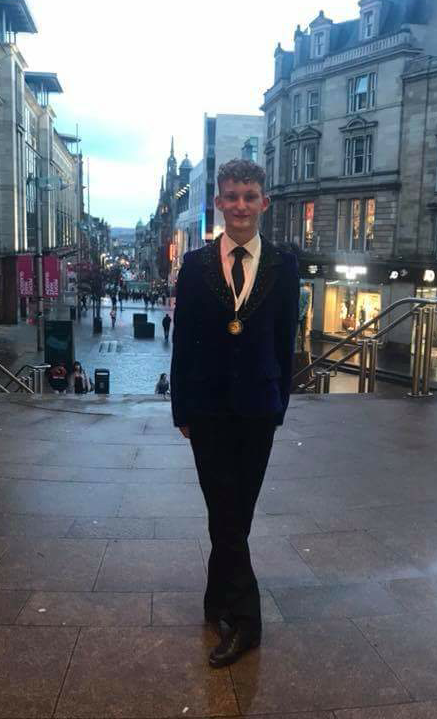 We hope to see Callum continue to follow his passion for Irish Dancing and achieve more of his dreams. By killaloeteacher in Other on May 2, 2018 .